A word of caution: toolbars and spyware have become virtually synonymous. If a toolbar is not a conduit of spyware, then at the very least the toolbar will be sending your online traffic patterns to a reporting agency to use for marketing purposes. Internet "toolbars" are used to collect marketing information that is then sold to agencies to track online usage, household spending and other private information. Avoid downloading and using specialized "toolbars" on your internet browsers--including the ones that have been designed by your loved ones, business associates, friends and neighbors. They may unknowingly be bringing reporting systems, or worse yet, spyware, not only into their computer but yours as well. Custom toolbars are taking all kinds of shapes and have loads of whistles and bells to "help" you when using the internet. The marketing-savvy folks want the toolbar to appeal to you so you will be willing to use it. In fact, you can now design "custom" toolbars to integrate into your internet browsers and even build entire communities around your new "customized" toolbar by sharing the toolbar with your friends. "...does not transmit any information in a manner that can identify a user." That means it is transmitting your information, but the information does not identify you personally. It does however identify your web traffic patterns, your downloads, the types of searches you do and additional information that informs marketing agencies of the "type" of internet user you are. Your "type" will be categorized and you will then be targeted by the same "types" of businesses. They won't know your name, but they will know everything about your online activity. Do a google search on the words "does not transmit any information in a manner that can identify a user". You will be amazed at the number of internet websites that include that verbage in their security clauses. Bottom line: If you want to assure you are protecting your privacy, don't install any custom tool bar. If you have a custom tool bar, uninstall it. You may have to use spyware removal software to fully uninstall a spyware toolbar. Consult your virus and/or spyware protection software for additional information and instructions on how to fully remove a third-party toolbar. If you're unsure if you've got a third-party toolbar, do a search online for your "brand" of toolbar and add the word "spyware" to the brand name. 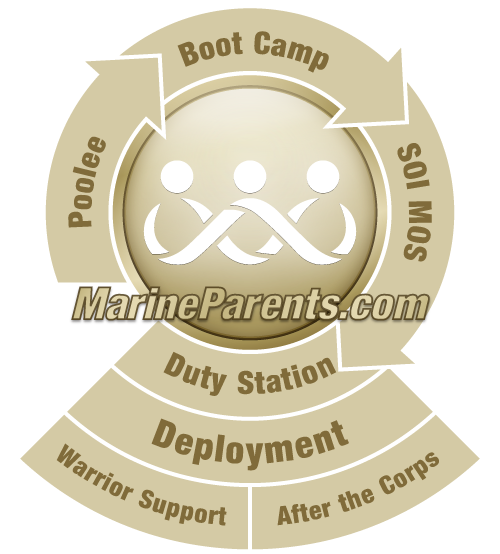 MarineParents.com does not offer custom toolbars. Nor do we collect data about your online traffic patterns during your visit to any of our websites. And we don't annoy web visitors with popups. We respect your privacy.